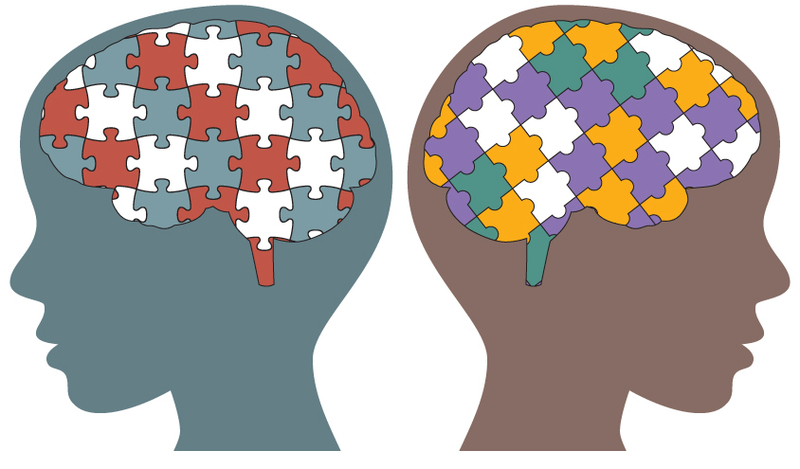 Chronic Brain Disorders, Including Congenital-Developmental, Mental,Traumatic Brain Injury, Neurodevelopmental Disorders, Autism, ADHD, and Learning Disabilities represent and enormous emotional, social, and economic burden worldwide. For example, according to the CDC, approximately 17% of children from birth to 19 years of age suffer from chronic brain disorders, most of which result from developmental, genetic, environmental or traumatic injuries. A parental survey from 2006-2008 published in Pediatrics in 2011 indicates that approximately 15% of children ages 3-17 suffer from neurodevelopmental disorders such as autism spectrum disorder (ASD), ADHD, learning disabilities, intellectual disability, epilepsy, disorders of speech and significant hearing and/or visual impairment. 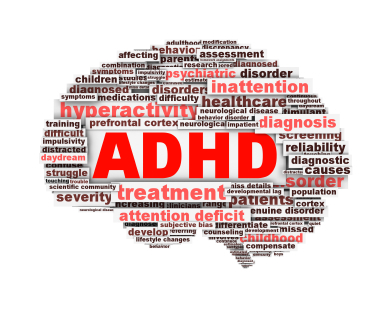 ADHD and learning disabilities constituted the majority of these cases. A CDC report from 2012 estimates that approximately 1 in 88 children in the United States have autism or ASD. The United Kingdom Health Service estimates the prevalence of Autism Spectrum disorders among adults to be approximately 1%. A 2011 study from South Korea calculated the prevalence of ASD among 7-12-year-olds based on the Autism Spectrum Screening Questionnaire to be nearly 3%. Most of these were undiagnosed. Perhaps more alarming is the fact that epidemiologic studies indicate that the incidences of these conditions is increasing. Harvard researcher Stephanie Seneff, Ph.D who has extensively studied such trends predicts that half of all children in this country will be affected by ASD by 2025. Surveys conducted among physicians and educators indicate that these disorders have an increasing incidence. This is also the conclusion of population based studies. Thus, the demand for effective and accessible therapies for chronic brain disorders will grow. 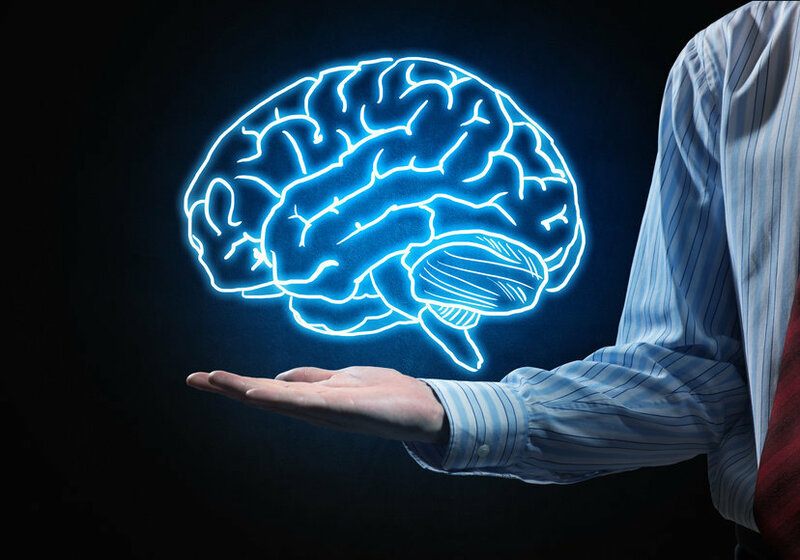 The economic cost of chronic brain disorders, amounting to billions of dollars annually, does not begin to reflect the burden on affected individuals, their families and communities. In 2003, the World Health Organization estimated that chronic brain diseases represented 35% of the total of disability adjusted life years in Europe. Anlin-Sobicki et al. calculated cost of chronic brain disorders in Europe to be 386B Euros in 2004. By 2010 Olesen of the University of Copenhagen put the price of mental and neurologic disorders at 798B Euros of which only 37% represented direct health care costs. The foregoing clearly indicates the breadth and depth of the impact of chronic neurological disorders on society at large to say nothing of the highly personal burden these diseases have on millions of persons in their daily lives. Importantly, currently available mainstream treatments fall short of providing these individuals improvement of a sufficient degree to lessen the social, psychological and economic impact let alone allowing them to function normally. Much of the lack of effective therapies may result from a limited view of the nature of the brain itself, specifically a reductionist philosophy that asserts that the material brain produces immaterial consciousness. Sadly, this view informs almost all publicly funded research in neuroscience. Alternative therapies, particularly energy based ones, for brain disorders have been available for decades, but have not attracted serious consideration from mainstream medicine. 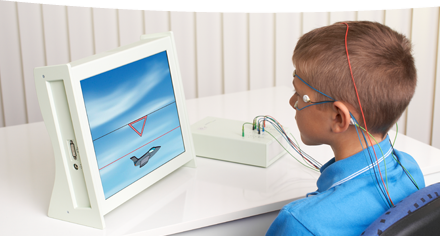 One of these therapies, neurofeedback has demonstrated significant benefit for a wide variety of brain disorders such as ADHD, ASD, migraines and PTSD to name a few. The following will attempt to provide another view of the brain, its capacity for change and its relationship to consciousness or the mind which I believe animates the former. It will describe in brief the history of neuroscience as it pertains to currently accepted tenets of brain physiology, offer an explanation of why such tenets are unable to explain exceptional cases of recovery following serious injury or the universal experience of consciousness and provide an alternative explanation of consciousness which has previously been described. Finally, it will discuss neurofeedback and its role in the treatment of chronic brain disorders. So far we can locate no single region in which the neural activity corresponds exactly to the vivid picture of the world we see in front of our eyes. The human brain is considered to be the most complex organ in nature. It contains approximately 100 billion neurons i.e. brain cells each of which has 100s to 1000s of connections with other neurons. It consumes approximately 20% of the heart’s total output despite comprising only about 1.5-3% of the mass of an average adult. Many scientists claim that we are our brains and that the body is merely a means of keeping our brains alive. Others insert that our brains are nothing more than highly sophisticated computers a byproduct of which is subjective experience also known as consciousness. Today, the overwhelmingly prevalent opinion among neuroscientists remains that the brain somehow creates consciousness. Many researchers in neuroscience regard the body as something of a habitat which exists to serve and preserve the brain. As we shall see, this concept probably began in the 19th century coincident with the elucidation of the microscopic anatomy of the brain and spinal cord. Recently Jeffrey Saver, M.D. a neurologist and founder of the stroke unit at UCLA, and John Rabin M.D. a psychiatrist have asserted “Religious experience is brain-based. This should be taken as an unexceptional claim. All human experience is brain-based, including scientific reasoning, mathematical deduction, moral judgment, and artistic creation, as well as religious states of mind.” This axiom is an a priori given despite lack of objective evidence that it is true. Despite the unequivocal claims of Drs. Saver and Rabin, the nature and genesis of consciousness, arguably the most fundamental aspect of our being, continues to elude neuroscientists. How is it that the material which composes the brain can produce the nonmaterial of thought, feelings and memory? Conversely can thoughts or recollections be explained by changes in electrical and magnetic energy, blood flow or sugar metabolism demonstrable with such things as EEG, MEG, fMRI and PET scans? Do such manifestations represent epiphenomena which are created by that which at present cannot be demonstrated, let alone explained, scientifically? Why does mainstream neuroscience posit that our consciousness must be a byproduct of the complexity of the human brain and its trillions of connections? In other words, in this line of thinking, once the nervous system became sufficiently ‘evolved’, self-awareness became manifest in the form of thoughts, emotions and memories. However, there has been no experiment which has allowed a calculation of the minimum number of nerve cells necessary to produce self-awareness. Numerous clinical studies demonstrating reproducible correlations between mindfulness and various aspects of brain activity in no way prove that brain activity is the source of our thoughts, emotions or memories. 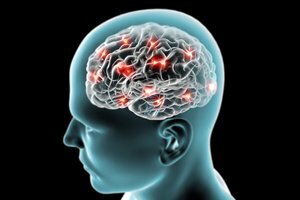 It is possible that our thoughts create the brain activity which is demonstrated with instruments such as EEG and fMRI. Thus, no experimental paradigm has ever demonstrated a human though in objective, reproducible terms. It seems more likely that the brain is a mediator rather than a generator of consciousness. Albert Einstein understood that any theory was only as good as the data that supported it. More importantly he knew that a single ‘anomaly’ could completely undermine even a zealously protected and widely accepted idea. The history of human scientific endeavor is littered with numerous such examples. During my neurology residency at USC/LA County Hospital in the 1980s, I was taught the afore mentioned scientific truth that without the brain there could be no consciousness. This was true inasmuch as there was no accepted evidence of consciousness existing apart from a functional brain. In this view the phenomenon of self-awareness required that certain essential structures of the brain be functionally intact and interconnected. Consciousness was thought to begin in regions of the brainstem called the ascending reticular activating system (ARAS) which provided important stimulating input to the cerebral cortex via subcortical structures especially the hypothalamus and the diencephalon. Disruption of any of these or their connections could result in impairment or abolition of consciousness. I have observed many apparent such examples of this in more than 30 years of clinical practice. Furthermore, conventional wisdom called for a brain, particularly in adults, that had a very limited capacity for recovery following injury such as from strokes, trauma or conditions in which the blood supply to the entire brain was seriously disrupted temporarily following cardiac arrest or an episode of partial suffocation e.g. near drowning or failed suicide. These areas become disconnected also during general anesthesia and what is often referred to as slow wave sleep. Indeed, this teaching comported with my quotidian experience with persons with brain injuries of all types. Unlike Dr. van Lommel, I never encountered a patient who described a NDE. If what persons who report having an NDE is true, then the brain cannot be the source of consciousness and it must have a great capacity for plasticity. Therapies which take advantage of this plasticity could potentially result in functional improvement in a variety of neurologic and psychiatric disorders. As mentioned above, the conventional wisdom regarding functional recovery following brain injury is that this process is quite limited and generally incomplete. Recovery of brain function following injury, especially eloquent activities such as speech or highly developed and refined skills, was thought to be possible in children, but exceptional in adults. A remarkable example of plasticity in children was described by physicians at Johns Hopkins and reported in the Lancet in 2002. A 3-year-old girl had half of her brain removed to treat intractable epilepsy due to a rare form of encephalitis. A year after the operation the girl had nearly no symptoms including the right-sided paralysis that was all but gone. She was also speaking and thinking normally. In fact, she was fluent in two languages. This type of surgery has been performed on many children with similar results. However, more than 90% of adult patients with severe speech impairment following a stroke remain disabled indefinitely. Yet know that the brain has a substantial capacity for change even after injury. Discussions regarding brain plasticity began more than a century ago. Said plasticity refers not only to changes in the connections of extant brain cells (neurons) but also to the fact that there are stem cells in the temporal lobes which continuously generate new brain cells. This is thought by many neuroscientists to have important implications in the formation of the continuity of memory and the modulation of human emotions. Why adult brains are generally thought to be far less plastic than those of children is not completely clear. It should be pointed out, however, that there are equally remarkable examples of such plasticity which will be discussed later. What follows is a discussion of the current view of what most neuroscientists understand regarding how the brain works. Despite a good deal of increase in our knowledge of how the brain works, we still do not understand how specific memories are stored or thoughts are generated. The term neuronal plasticity today refers primarily to the modification of communication between nerve cells through changes in the connections between them now known as synapses which have a tiny separation between one cell and the next. Synapses help to maintain the unidirectionality of electrical nerve impulses. While the nerve cells themselves generate electrical impulses, known as action potentials, to communicate with each other the continuation of said impulses across the synapse is accomplished through chemicals. It may be surprising to learn that the concept of neuronal plasticity, i.e. a plastic brain, has typically been attributed to 19th century American physician, psychologist and philosopher William James. In 1890, he published Principles of Psychology in which he asserted that learning and changes in behavior could be accounted for only by physical changes in the brain pathways. He further speculated that such changes were mediated by repetition of activities e.g. practicing the piano. If habits are due to the plasticity of materials to outward agents, we can immediately see to what outward influences…the brain-matter is plastic. He also clearly understood the electrical nature of the brain stating that the currents which both enter and exit the brain with the means of its continual modification and shaping. The currents, once in, must find a way out. In getting out they leave their traces in the paths which they take. The only thing they can do, in short, is to deepen old paths or to make new ones; and the whole plasticity of the brain sums itself up in the two words when we call it an organ in which the currents pouring in from the sense-organs make with extreme facility pads do not easily disappear. In my opinion, he anticipated and described the phenomenon of long term potentiation (LTP)-defined as the strengthening of existing synaptic connections and even creation of new ones-before it could be proven in the lab. He had no knowledge of the concept of a synapse because this had yet to be discovered! CS Sherrington is credited with coining the term synapse which is Greek for “to clasp”. Definitive proof of the existence of the synapse would have to wait until 1954 when George Plade, Eduardo de Robertis and George Bennett used the recently developed electron microscope to publish photos of the synaptic ultrastructure. LTP is dependent on the frequency and repetition with which nerve traces and the associated synapses are stimulated. For example, repeated rapid, intense stimulation of the first nerve in a synaptic pair leads eventually to a substantially enhanced response by the second nerve at subsequent lower levels of stimulation. In other words, one gets much more bang for the buck after a synaptic trace has been ‘primed’ with prior stimulation. Additionally, this enhanced response may last for weeks hence long term. The more frequent the stimulation, the stronger the effect of LTP. 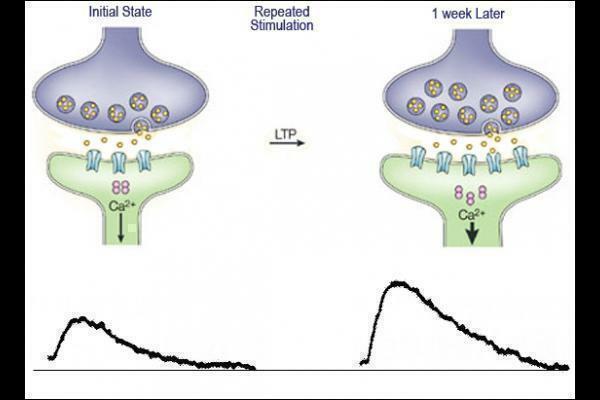 The blocking of certain receptors for excitatory neruotransmitters known to mediate LTP, specifically NMDA receptors, results in the abolition of this phenomenon. agate its excitement into the other. This is precisely the phenomenon of long term potentiation LTP. It has probably been studied most in a region of the brain called the hippocampus (Greek for horse and sea monster. Early anatomists felt this structure within the temporal lobes resembled a sea horse.) 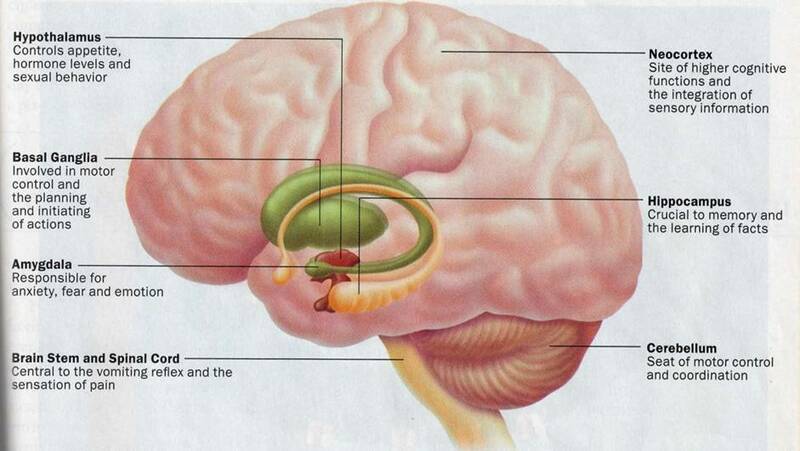 which is located within the temporal lobe of each hemisphere. The hippocampus is thought to be essential for the formation and retention of new memories i.e. learning. Thus, it seems that in this view, certain aspects of brain functioning are necessary for forming memories which are a foundational aspect of consciousness. We shall later see that rats which have learned a maze can have large portions of the brain removed, yet still perform flawlessly in the maze. James also endorsed the idea that a person’s will is extremely important in determining one’s reality both present and future. More on this later. What is the purpose of the maintenance in such a high degree of plastic powers of development by cerebral pyramidal cells in the perfection of the apparatus for psychical processes?This paradigm found further support from its proponents in studies by Italian physiologist Angelo Mosso which, in 1880, indicated that increased cerebral blood flow was associated with increased neuronal cell activity i.e. metabolism. This was evidence that different parts of the brain were more active during specific activities such as thoughts. 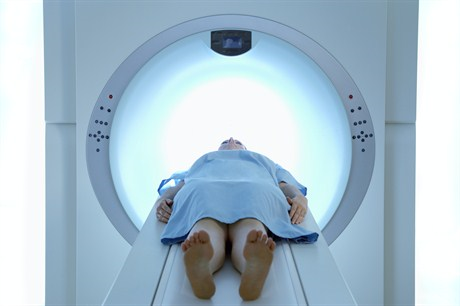 This principle forms the basis of modern day diagnostic tools functional MRI (fMRI) and positron emission tomography (PET) scans. The enhanced blood flow associated with brain activity was thought to underpin the growth of cerebral tissue much the same as physical exercise stimulated muscle hypertrophy. Such growth has been demonstrated clinically. For example, a study of London cab drivers demonstrated a strong correlation between the length of employment as a cabbie and the development, i.e. size, of the posterior right hippocampus a brain structure which stores spatial information regarding the environment. We now know, as these early investigators speculated, that brain cells are capable of growing new connections with each other and of pruning ones that are no longer used. It must be pointed out that the correlations of blood flow with brain activity do not prove the source of our thoughts. Further we shall see that fMRI techniques are too slow to demonstrate conscious thoughts in real time. Thus, process of mental focusing can change the architecture of neuronal connectivity and, thereby, the function of the brain. In other words, a man becomes what he thinks. The formation of every new association, the process by which the cerebral anatomical mechanism is perfected and the progressive increase of anatomical pathways which constitutes the substratum of ideation, imagination and foresight. This plastic activity of neurons, which is just a continuation of what is more accentuated in the embryo, although in quite a different manner, is naturally more active in infancy and youth than in adult life. All of this goes to show that the brain is highly plastic and, thereby, adaptable, something which comports very nicely with quotidian experience such as learning especially among children. As mentioned earlier, why this adaptable malleability appears to wane with age is not clear. What it does not explain is exactly how and why such changes occur. Further, it does not address whether, or not, other even more facile mechanisms of brain plasticity are available which may have important therapeutic implications. It cannot explain the rapidity with which learning often occurs or the transferability of learning from one side of the brain to the other. For example, monkeys who have been taught a specific learned skill with one arm can easily transfer this to the other arm when the arm involved in the original learning process is immobilized. Even more astounding is the fact that monkeys have learned to control avatar arms using only their minds! Finally, it cannot account for changes in brain functioning or functional brain connectivity that have been described with fMRI after even one session of neurofeedback. The formation of new connections i.e. synapses among neurons takes days to occur. This process of changing connectivity within the brain is continual throughout our life time. Danish neuroscientist and anthropologist Andreas Roepstorff proved the futility of trying to capture thoughts with fMRI through his participation as a volunteer in a mindfulness experiment. Subjects had their feet tickled under two conditions: In the first they could only feel the stimulus on the foot, but in the second, they could also see themselves being tickled. Roepstroff decided to think about football in the first condition, but during the second he would visualize a cat’s funeral. I have never attended a cat’s funeral, but I could imagine what might happen in one. It is certain that my image of one would not be identical to that of Roepstorff’s. Given this, if fMRI actually demonstrates the content of thought in some way, Reopstorff’s scans should have looked substantially different from those of the other subjects, but they did not! It should be pointed out that generating the images of fMRI takes at least two seconds whereas our thoughts happen in milliseconds or a thousand times faster. Thus, any information gained from such studies would contain only a tiny fraction of everything that occurs with conscious thought. Roepstroff asserts further that only the thinker knows his own thoughts and that access to another’s thoughts is purely subjective. He concludes that objective knowledge about consciousness is scientifically inscrutable. This happens to be consonant with the opinion of a number of quantum physicists, but more about that later. Whereas fMRI is too slow, too cumbersome and too expensive to find routine therapeutic use, real time EEG used in neurofeedback is not. PET and MEG are also cost prohibitive. Alterations of brain activity manifested in EEG recordings occur instantaneously and can be used by the brain to evaluate is status at any moment in time. A materialist, reductionist paradigm of consciousness is completely unable to account for multiple examples of documented cessation of all brain activity as expressed by EEG or in cases of sudden death in which blood flow to the brain had ceased temporarily yet during which the individuals involved in these types of events reported ongoing and enhanced consciousness, coherent and logical thinking and were able to describe what happened during these events. In 2001 Pim van Lommel, a Dutch cardiologist, reported in the Lancet a prospective study of 62 persons of this description who had experienced a near-death experience (NDE) following documented clinical death from cardiac arrest and who were successfully resuscitated. Similar studies have been published in the UK and US. Further, there are numerous instances of individuals with large portions of the brain missing in whom there is no impairment of neurological or mental functioning. For example, in John Lorber, M.D. a professor of neurology at the University of Sheffield examined an honors student who had virtually no cerebral cortex. The man’s head was almost entirely filled with CSF. He gathered data about several hundred similar and normally functioning persons. I saw a similar such case as a resident in neurology at USC/LAC Medical Center. What do the above ‘anomalies’ say about the nature of brain function? One ineluctable conclusion, which is rejected by most neuroscientists, is that the brain is not the source of consciousness. In other words, our current working theory of how the brain works is not just incomplete, but very likely upside down. Instead of being the provenance of consciousness, the brain may be viewed as the transducer or mediator of consciousness much as a TV, radio, phone or computer converts electrical energy i.e. information into a form that may be consciously perceived i.e. auditory, visual and tactile vibrations of specific frequencies. Thus, brain dysfunction no more precludes the phenomenon of consciousness any more than turning off the TV results in the termination of the show being broadcast. Put another way, these devices transform electricity into visual, auditory and even tactile information that we perceive through our sense organs. But what, then, of the nature of the perceiver? I agree with DeCartes’s assertion which succinctly describes the relationship of consciousness to being: “Cogito ergo sum.” I think, therefore, I am. A consciousness which exists apart from and which animates the brain, rather than the other way round, is consistent with these well-documented phenomena. As I see it, our consciousness i.e. our mind manifests itself through the brain which more or less faithfully executes its desires. So, if consciousness, i.e. our mind, exists apart from the brain, what exactly does the brain do? As I mentioned earlier, the prevailing consensus is that the brain source of consciousness. Sadly, the proponents of this concept are at a total loss to explain this universal human experience by studying brain physiology. However, examining what is known of brain function can demonstrate its capabilities for change, adaptation, plasticity which, in my opinion, have important implications for non-standard or alternative therapies such as neurofeedback for persons with altered or suboptimal brain functioning. The afore mentioned William James proposed the philosophical/psychological concept of “The will to believe.” He convincingly argues that what a person believes has a definite effect on his experience of reality. As an example he explains that any social organization can function only because each member believes that his fellows will perform their duties faithfully. Organizations such as government or athletic teams come to mind. These entities may exist only under such circumstances without which nothing is attempted let alone achieved.